If there is one thing I know about watches is that the pricier they are the more we want them. There is no point in denying the irresistible attraction that a Rolex, Omega or Tag Heur piece has on us. It is that kind of watch that makes a statement no matter the crowd. At work, at a dinner party, at a club or at a rendezvous this watch gets your full attention immediately. A magnet for the gals and a reason for everyone’s envy at social events; it is the watch everyone is talking about. Naturally, the brand name comes with a crazy price, one that not everyone can afford. But as our love for beautiful watches doesn’t have limits we find ourselves considering the idea of buying a replica instead. And why not, if it looks, work and feels the same as the genuine watch, but costs only a fraction of its price? A good watch is a good watch no matter how much it costs and this is just how Goodwatches.cn wants to impress us, with high quality replica watches at affordable prices. Unfortunately the message fails to be delivered to us because the thing that we notice first, the website, makes a terrible impression. It is very ugly designed. Everything about its aesthetics speaks of a lack of attention and care for details, professionalism and reputability. The homepage is designed with white and blue, the company’s logo is stretched and pixelated, the medium size banner is of very poor quality and the layout is common looking. The usability of the site is fairly good as there are two menu bars. 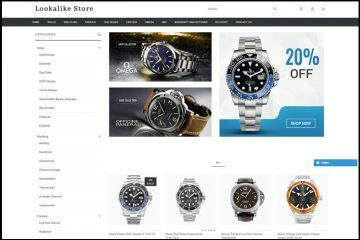 One is located on the upper part of the screen and it includes buttons for two of the most popular brands- Rolex and Omega- and the second menu bar is on the left and it lists numerous famous watches designers, about 17 of them. Enough to get your attention and satisfy your impulse of buying a new replica watch. The really neat thing about these knockoffs is that every category includes hundreds of different models. Luckily for us these are organized into collections that are named the same as the original collections. This makes browsing smoother, but I can’t help but notice that and Advanced Search option would have been really useful here. Goodwatches.cn carries both Swiss and Japanese replica watches. The Japanese replica watches are the most affordable ones and come with a 21 jewels Miyota automatic movement. These cost between $99 and $200. The Swiss replica watches are pricier. These range between $250 and $650 and are equipped with a 25 jewels Eta self-winding mechanism. It goes without saying that the Swiss imitation watches are the best quality available on the market. Not only are these more durable and precise, but also more authentic looking. 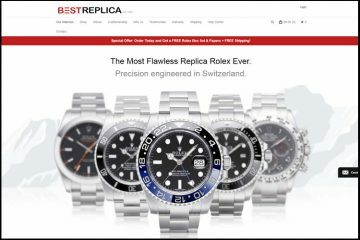 I can’t deny, this website has numerous detailed images for every replica watch it sells, but the biggest concern about these photos is that they are definitely not property of Goodwatches.cn. These weren’t taken in their studio and most likely do not represent the products they are selling. 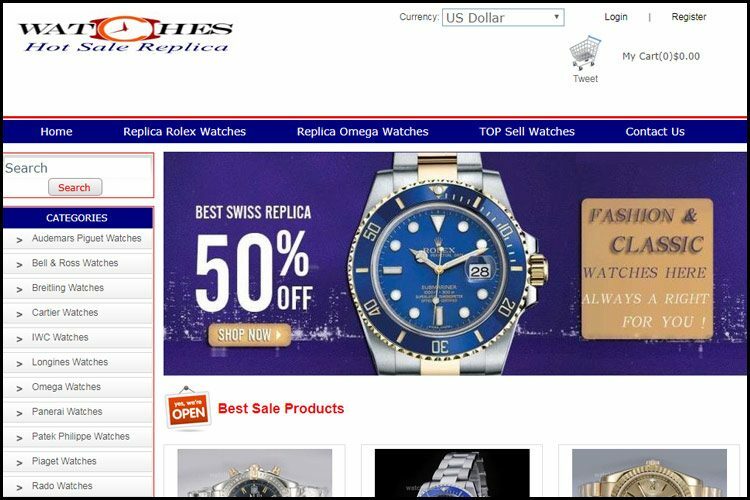 The pictures displayed on the page are copied from at least 3 different sources and feature the name of a different website Justwatches.com. This should make you wonder if what you see on the site is what you are actually going to receive. Chances are that the delivered product will be considerably different. To see how good these watches are I thought about comparing the photos of a replica with the one of the real deal to see what aesthetic differences there are. The conclusion is shocking. A fake Rolex Submariner with Black Dial and Blue and Red bezel replica got my attention and you will soon find out why. 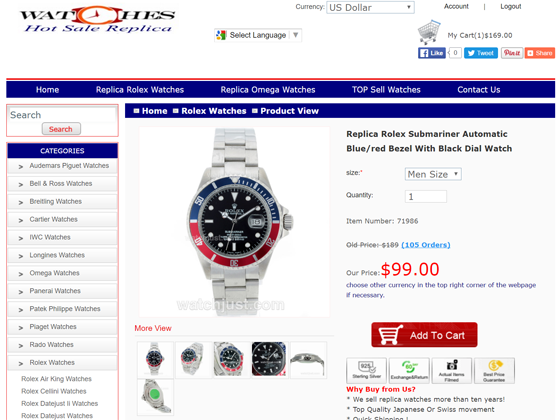 This watch was displayed on Goodwatches.cn, but the thing is that Rolex never made a Submariner with a “Pepsi” bezel. 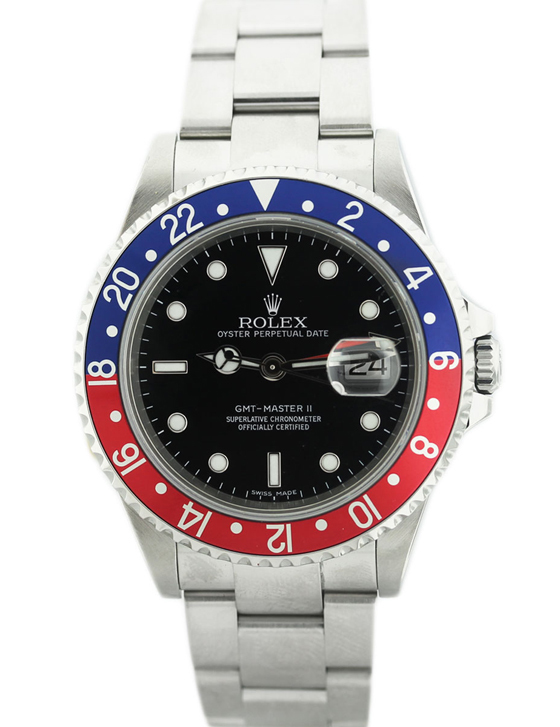 Rolex offers this unique color combo bezel only for the GMT Master II. So no matter how authentic the watch may look it is a terrible replica because this watch does not exist. The authentic company never manufactured it. So the conclusion is that these watches are not that good even if at first glance they seem to be. When you place an order on this online store you have two choices for paying and these are Visa and Mastercard. The thing about these payment options is that they are not as secure as one may think. Usually, card payments are the most secure ways of placing your order over the Internet, but in this case the information you are entering on the page isn’t protected because the page doesn’t have the https which means it is not encrypted and anyone can hack it and access your data. This is why in this case offering the choice of using Western Union, Money Gram or Bank Wire would have been really great. Even though Goodwatches.cn delivers its replica watches all over the world, its shipping policy isn’t entirely satisfactory for us online shoppers because there is a delivery fee. For instance, shipping to USA costs $15 and it isn’t done by FEDEX or UPS, but by EMS. The usual delivery time is 10 business days and a tracking number is provided. Of course, if you want to receive your package sooner you can contact the store and ask them if it is possible to pay extra to receive it in 3-5 business days. Unfortunately, a faster shipping options isn’t available as their warehouse is located in China. I find it outstanding that this company does not accept returns if you simply do not like the products or if you have changed your mind about it. You can send a product back for refund or exchange only if they have sent you the incorrect item. Also when you return a product (and it is their fault for this) you need to pay a 15% restocking fee in order to get a refund. For exchanges there is no restocking fee. And let’s not forget that the shipping back fee needs to be paid by the customer as well. Even more unbelievable than their return policy is their customer care. The thing about these very important services that should be provided by every online company is that you can reach the merchant only by email at a very unprofessional and unreliable Gmail account. There is no option of getting a hold of their agents by chat or phone number. This makes it so much difficult for us to contact the store when we have an urgent problem and we all know how important is to be able to reach an Internet shop in a fast and easy manner. I don’t know about you, but my opinion is that Goodwatches.cn is not that good as it wants us to think. 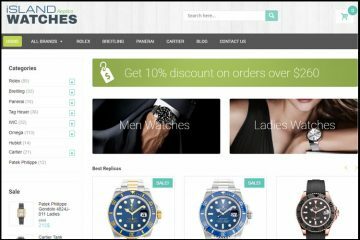 This online store fails to convince me that it is a reputable company due to its unfair return policy, insecure payment options and unreliable product pictures. 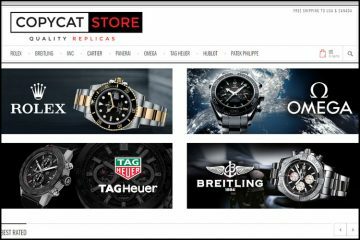 The only tempting things about this company are its affordable prices, large selection of replica watches and worldwide delivery. DO NOT PURCHASE ANYTHING FROM THESE CROOKS!!!!!!!!!!!!!!! The watch was missing the clasp. I emailed them – they said they give me a 10% discount to buy another watch. I paid $157 and I can’t even wear it. Horrible…horrible..never again. I learned my lesson. I HAVE TO DATE ORDERED 2 WATCHES FROM THEM A ROLEX AND ZENITH. THE EXPERIENCE WAS GREAT. THEY EMAILED ME WITH UPDATES EVERY STEP OF THE WAY AND FOR THE SWCOND PURCHASE I GOT EXPRESS DELIVERY BECAUSE THEY DID HAVE THE COLOR FACE THAT I ORDERED, WITH MY SECOND CHOICE. I RECOMMEND THEM TO ANYONE. NEED TO BE SURE, WHY SOMEONE HAVE A BAD EXPERIENCE AND OTHER DONT WITH SAME COMPANY !! OR SOMEONE IS LYING, PROTECTING THE COMPANY COMMENTING GOOD THING TO OTHER BE FOOLED. THE ADMIN NOTHING !!! WHY ? ?